Want to meet other #Ferniestreakers? 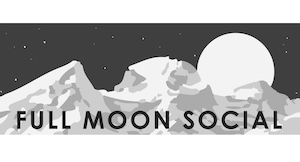 Join the organizing committee at the Cast Iron Grill Fernie for a Full Moon Social on Saturday January 19 at the Fernie Golf Course. Cast Iron Grill is staying open late for us, so bring your money to enjoy yummy food and drinks until 10PM. * * Please remember that the Golf Course is Nordic skiing only. No dogs or ski-less people on the trails. Meet Sam at the Fernie Golf Club clubhouse at 6:15PM for a group ski before the photo. The trails are FREE for this event for non-members! If you need rentals, check out GearHub Sports. If you can't make the 6:15PM ski, no worries, just head out anytime and join us in the restaurant when you can. Meet at 6:00PM at the Fairy Creek Bridge for a loop through the lower Mt Proctor trails (subject to change depending on conditions) and then to the golf course for the 7:30PM photo and food and drinks at the Cast Iron Grill. All abilities welcome! Meet Abi at the Dirt Jumps at 6PM to run to the Fernie Golf Club via a loop of Montane & Old Stumpy. Want to cut it a little shorter? We’ll pass back through the Dirt Jumps at 6:30PM to pick you up! Meet Ange at the Bridge Bistro for 6:10PM and we can walk the dyke trails to the Golf Course.